It’s Black History Months (BHM) and awards season, so I caught up with Black British Business Award finalist Wanita Bardouille, Creative Services (CS) Director at Ralph Lauren (RL). Nominated in the Leader Category, I wanted to know how she feels about it all! How does it feel to be nominated for a BBB Award? Really nice, but I’m quite reserved and don’t like the spotlight too much so it was a bit hard to accept. Do you think it’s necessary to have the BBB Awards? Of course, when I was nominated one of the founders said, black professionals in prominent positions have a responsibility to allow others to see them and hopefully feel inspired. I’m part of the Diversity and Inclusion Team at work and give talks in schools. It’s important to give back and encourage others to be authentic to themselves. Once a headteacher said to me, “I don’t know why you want to talk to these girls; they all just want to be hairdressers and nail technicians”. I reminded him that Vidal Sassoon was a hairdresser! For me, it’s not what you dream but how big you dream it; I encourage young people to believe in their own value. I’ve been at RL for 19 years now! I started as a cashier while I was studying for a HND in interior design, with the aim of doing a degree in spatial design. I was always interested in visual merchandising and an opportunity came up within the company. My manager said I wouldn’t get it as I didn’t have a relevant degree, but I applied anyway and got the role. I didn’t do my degree in the end but worked my way up to CS director earlier this year. I oversee the wholesale function covering northern Europe (including UK and Scandinavia). I manage our visual presentation in partner stores like Harrods and Selfridges. At RL we’re very protective about our brand image and presentation. My teams work with our partners ensuring the presentation of our clothes within their stores aligns with the RL brand image and placed in the best location. What’s it like working for one of the most famous fashion houses in the world? I’ve always had a good experience at RL, in the beginning I was concerned about how I’d be perceived as a black woman but decided early on to just be myself. I realise some people think RL is ‘whitewashed’ and classist; but don’t realise RL uses black models and was one of the first designers to work with Tyson Beckford (now one of the biggest male supermodels in the world) in the ‘90s. I’ve had sexist comments like being called a ‘tough woman’ because I’m prepared to say no and progressed in my career in a male dominated industry. As a black woman in the luxury fashion industry did you have to conform to European beauty/style standards? Not really, I have a corporate wardrobe I wear for meetings but as my role can be quite physical when coordinating our displays in stores, I can wear jeans and a T-shirt. I used to relax my hair, but I’ve been natural for 9 years now. I don’t mind work colleagues asking about my hair if they’re just curious; but they know me well enough not to put their hands in my hair! Have you dealt with any racially insensitive situations at work? I haven’t experienced racism at work, more just curiosity about my heritage. I’m light-skinned so some colleagues have asked if I’m mixed-race and I just say no I’m black. I don’t mind having those conversations to be honest, but only if I can ask personal questions too! What does diversity in the workplace mean to you? Everyone should feel their opinion is relevant regardless of rank or ethnic background and be allowed to progress as far as they are capable. What advice would you give to someone trying to break into luxury fashion creative services? Network. You can contact the CS director of any luxury brand from your bedroom via social media. Twenty years ago, that would’ve been a lot of footwork! Opportunities for people from diverse backgrounds are opening up, because the voice of the consumer is becoming diverse (for example, the rise of Nigerian spending power in the luxury fashion market). To stay relevant, companies including RL need to have diverse voices in them. 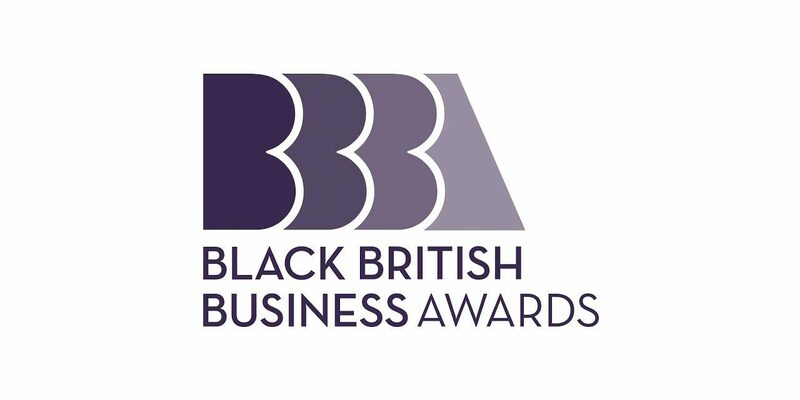 The Black British Business Awards takes place on 4th October in London, and is supported by its media partner, The Daily Telegraph and main sponsors Baker McKenzie, Barclays, Bloomberg, Cisco, Facebook, JP Morgan, MDC Group, PwC, Thomson Reuters and Virgin Money. Very inspirational and talented woman.